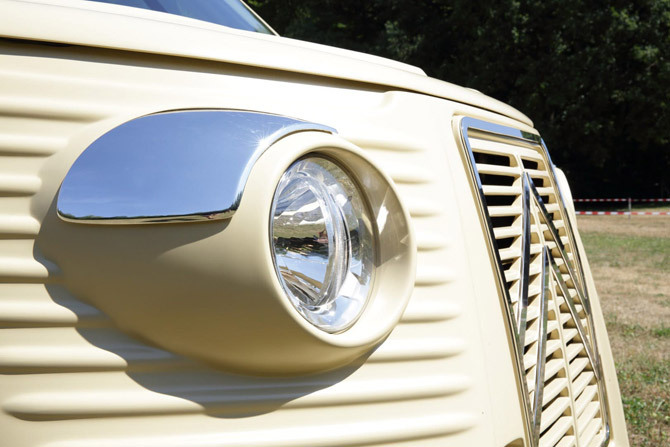 The retro van isn’t jut about Volkswagen. 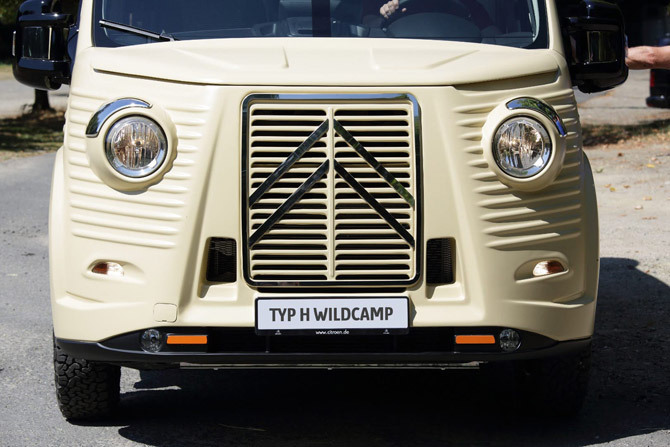 Check out this Citroen Type H WildCamp van for some competition. This is a very interesting concept by Citroen, but if you want one now, you will have to dig deep. More on that in a moment. First, let’s look at the van itself. This is a ‘new’ concept, a take on the Type H van, which is something I have featured in the past in the eBay finds section of the site. Old ones come up regularly, but not looking like this one. This is a new model inspired by that mid-20th century van (this was made from 1947 to 1981), with modern engineering meeting working alongside a retro/vintage finish. So a retro look with less worry of a potential breakdown or mechanical fault when you consider a longer trip. It is a strong look, with the H range by Citroen always attracting attention. 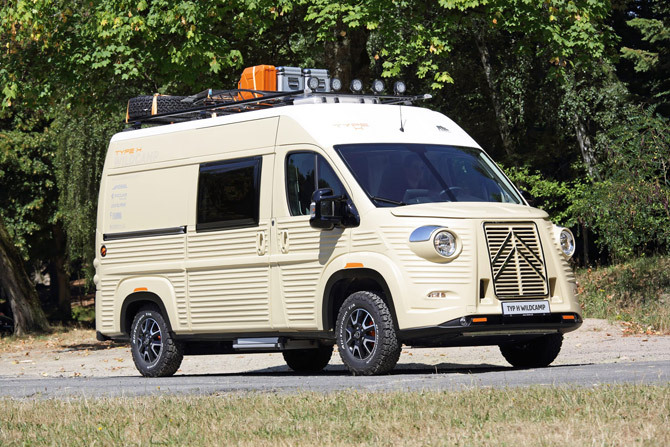 Perhaps that – and its boxy shape – are the reason you see so many converted into coffee vans and snack bars these days. 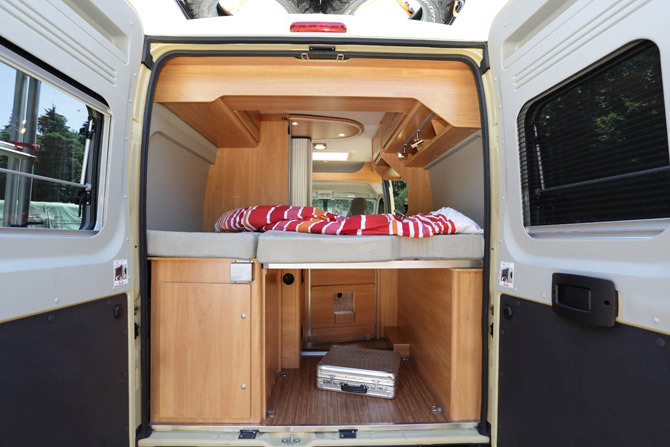 A finished van being made available in conjunction with Caselani at some point in the near future. 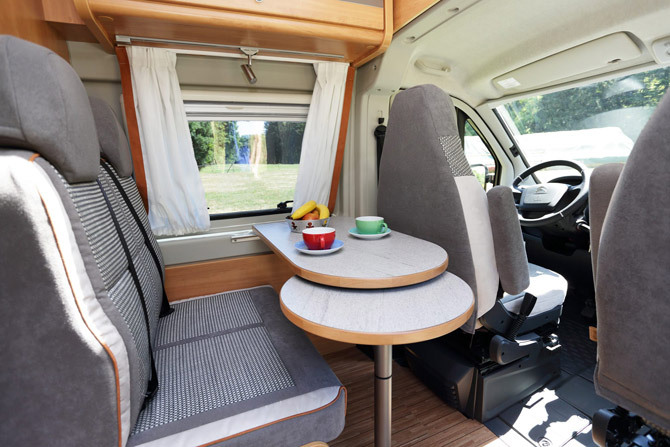 But if you want one now, you will have to buy a kit to convert an existing van from the same maker, which turns a standard van into a Type H WildCamp, complete with a 1977 ‘beige gazelle’ shape of paint for the finish. 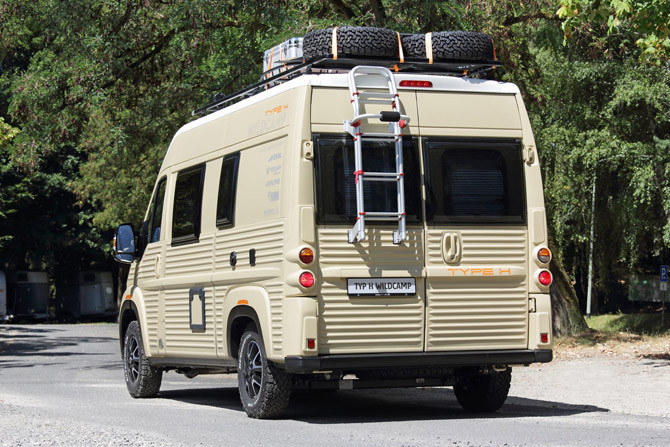 If you want the full-on camper finish too, then you are looking at a further conversion kit, known as the Roadcamp R conversion from Pössl. You can see why I mentioned it might get a little expensive. 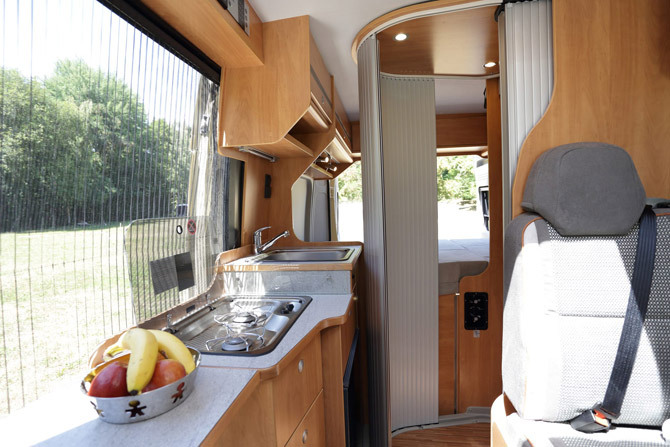 The kit from Pössl maximises the space, offering a kitchen area (with dual-burner gas stove, stainless steel sink and fridge/freezer), bathroom, multi-leaf dining table and rear bed, storage options, bathroom, living area and toilet. But note the finish is more contemporary than retro. 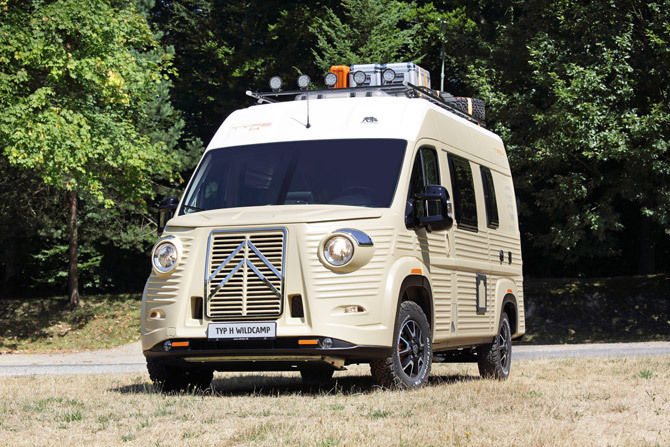 The van shown off by Citroen also packs in a 161-hp BlueHDi diesel engine, along with hill start assist, ABS, electronic stability control and options including a traction control system and an Alpine infotainment and navigation system. 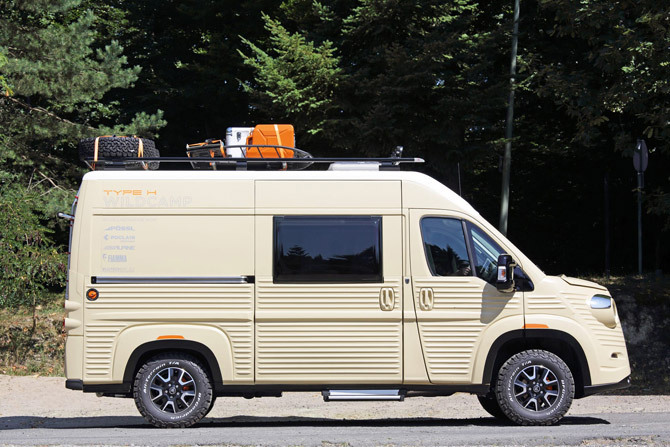 No news of a price with the finished van, but if you happen to have a Citroen van that is compatible, you can get the Pössl Roadcamp R camper van kit from €41,597 and the Caselani Type H body kit for €27,132. That’s a lot of money. Perhaps wait and see what the finished van is priced at. Or hunt around for a vintage van if you want authenticity.